"I run outdoor 'walks' for wheelchair users across the north of England, the Trike is fantastic for experiencing the great outdoors. Have a look at our video to see the type of things we get up to and get in touch if you'd like to join us, you can find more information about us here." Since July 2014, my organisation, Experience Community CIC has been running outdoor ‘walks’ for disabled people in the Huddersfield area in Country Parks and along canal towpaths. I decided that I wanted to share my experiences of using my Mountain Trike with people who own their own Trikes, so I set up a Ramble. The response was great and it was amazing to see so many Mountain Trike users out together who were able to exchange ideas on places to use the Trike and give each other tips and advice about maintenance of the equipment. We now run the rambles every week at a variety of locations across the north of England and we also have two Trikes that we can hire out to people who want to join us so they can also enjoy the British countryside. 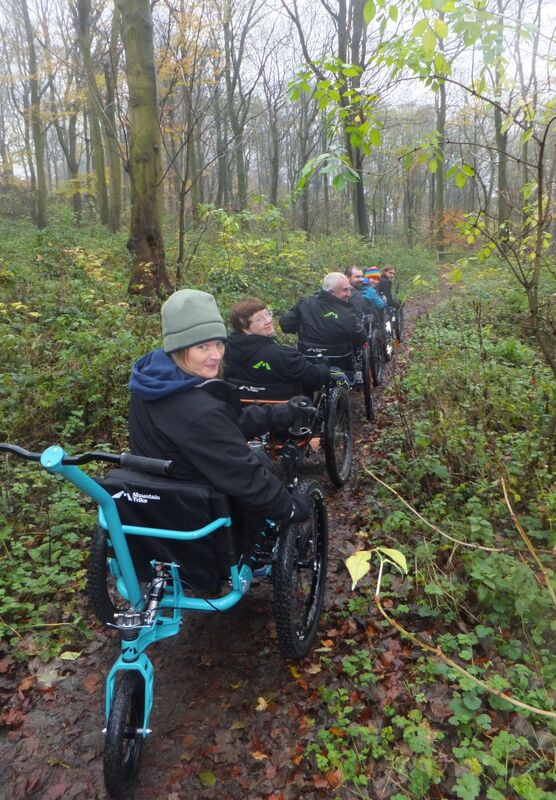 We’re also setting up drop in centres twice a week in Huddersfield so that people can come and learn to use the Mountain Trike so that they then have the confidence to come out on our longer rambles.